Health IT is the foundation of any effort to coordinate and integrate care for behavioral health clients, across all modalities of care. Yet, mental health and addiction providers face significant financial challenges in trying to adopt comprehensive EHR systems. 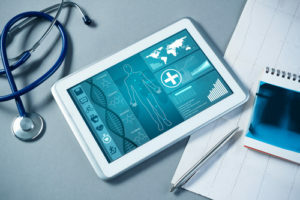 Behavioral health providers must have the ability to adopt health IT at a rate comparable with primary care facilities, hospitals, and physicians to be able to provide clinical care coordination. The Mental Health Liaison Group (MHLG) advocates for strengthened supports for this technology. Issue statements from past Congresses appear below. For statements from the current session of Congress, view the health IT issue statements page. MHLG Expresses Supports the Behavioral Health Information Technology Act of 2011 – 04.01.11: A letter to Sheldon Whitehouse to express support for a bill that extends meaningful use incentives established through the HITECH Act to mental health and substance use disorder providers and facilities. MHLG Expresses Supports the Health Information Technology Extension for Behavioral Health Services Act of 2010 – 08.03.10: A letter to Sheldon Whitehouse showing support for a bill extending meaningful use incentives to mental health and substance use disorder providers and facilities. MHLG Expresses Support for the Health Information Technology Extension for Behavioral Health Services Act of 2010 – 05.20.10: A letter to Henry Waxman and Joe Barton to express support of the H.R. 5040 bill that will extend meaningful use incentives to mental health and substance use disorder providers and facilities. MHLG Expresses Support for the Health Information Technology Extension for Behavioral Health Services Act of 2010 – 05.07.10: A letter to Patrick Kennedy and Timothy Murphy endorsing the H.R. 5040 bill.